4-H club work has something for everyone – more than 140 projects from which to choose! Membership in Pend Oreille County clubs is open to children ages 5 to 19. Traditional clubs are organized and managed by volunteer adult leaders who work with the WSU County Extension Office to teach life skills education through 4-H project work. Learning life skills helps club members become competent, contributing adults. The most popular projects in Pend Oreille are horses, technology, food and nutrition, photography, arts and crafts. Clubs are located in all parts of the county to make membership convenient. Enrollment in 4-H occurs annually from October 1st through November 30. The results of 4-H project work are frequently seen at the County Fair in August of every year. If you are interested in forming a new 4-H club or would like additional information on 4-H programs, please contact Mike Jensen at mike.jensen@wsu.edu or call the Pend Oreille County Extension Office at (509) 447-2401. JOIN NOW – Become a member or leader of 4-H by signing up by now. Please contact our office with what interests you may have and your location in our wonderful county. Get signed up now!! You can sign up with a club in your area at anytime. For more information please contact the Extension office for a list of clubs. You can contact us at (509) 447-2401. 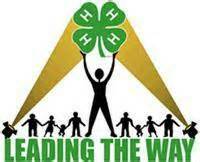 For information about the Washington State 4-H program click here. For state and national 4-H history click here. Detailed catalog of all Washington State 4-H publications and projects with descriptions as well as 4-H news.